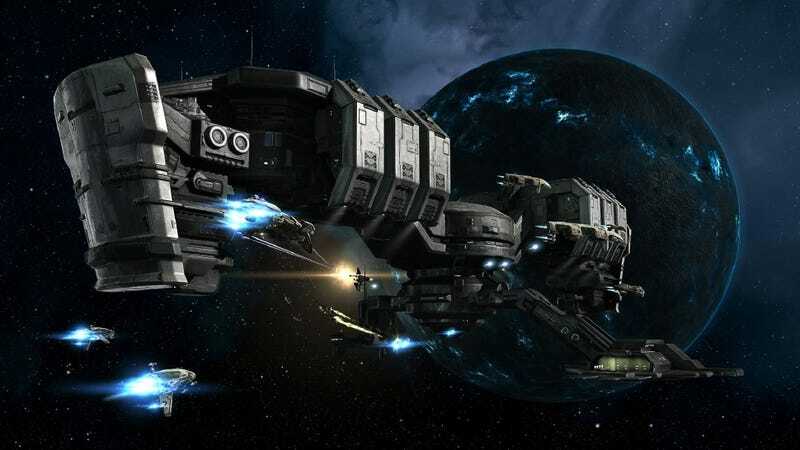 EVE Online is getting a television series, thanks to a partnership between the MMO's publisher and an Icelandic filmmaker, and it will take its inspiration from the stories EVE players left on a website honoring the game's first decade. Baltasar Kormákur, the director, was behind 2012's Contraband and is currently working on 2 Guns, which stars Denzel Washington and Mark Wahlberg, due for release in August. A news release from CCP, EVE's publisher, says the television series will be distributed worldwide and will tell the store of the EVE Universe, "a future history of rival societies trapped beyond a wormhole in a dystopian sci-fi world." “The EVE universe is full of astounding stories of epic battles, daring heists, and gripping political intrigue, all of which will make for an amazing television series,” Kormákur said in a statement, and boy did he get the heists part right. No distributor or network for the series was named in the announcement, nor was any expected premiere window.